You could have purchased a Googel Home Mini for $25 earlier this week, but it’s back up to $49 on the Google store with a twist. The new Aqua Google Home Mini is now available for purchase. You can also purchase the Aqua model from at least one U.S. retailer. 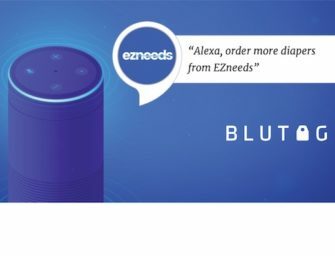 Voicebot spotted the define on Walmart.com and a Reddit user confirmed it was available in store, but not yet on the shelves. There is currently a $40 savings if you purchase two devices so discounts have not disappeared altogether. Google released three colors last year: chalk (white), charcoal (black), and coral (you know, cantaloupe). Coral was in limited supply from the start and then often sold out. It seems clear that a lot of people like the idea of a smart speaker with a little color. So, you might pay a bit more, but you will have a smart speaker that has no black and white institutional qualities about it. Fun seems like a solid adjective for the Coral and Aqua options. Something that is sure to surprise many consumers watching this space is that the new color option is not just available in the U.S. It is also available for purchase through Google store websites for Australia, Canada, Japan, Spain, and the U.K. It seems odd for Germany to be left out given it was the first non-English speaking market entered by Google Home, but that may change in the coming weeks as device inventory is made available throughout the world. And, several countries that are accustomed to waiting for new devices are now gettting the same options as the U.S. Progress!